Prof. Jean Bourbeau, McGill University, Montreal, Canada Jean Bourbeau is a pulmonologist and full professor in the Department of Medicine and Epidemiology and Biostatistics of the Faculty of Medicine at McGill University. He is the Director of the Research Institute at McGill University Health Center’s (MUHC’s) Center for Innovative Medicine. He is Director of the COPD Clinic and the Pulmonary Rehabilitation Unit at the MUHC Montreal Chest Institute. He leads the COPD group of the FRQS Respiratory Network. He is a member of the board of directors of Réseau québécois d’éducation en santé respiratoire (RQESR). 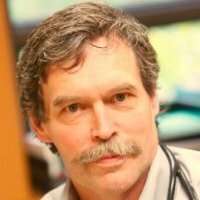 He has been President of the Canadian Thoracic Society. He also sits on the scientific committee of GOLD. His publications, of which there have been more than 200, have been published in peer-reviewed journals and as book chapters. His work and research, especially on COPD, pulmonary rehabilitation and integrated self-management programmes for patients with COPD (‘Living Well with COPD’: www.livingwellwithcopd.com), have had an impact not only in this particualar field of research, but also in clinical practice, as well as in the public domain at national and international level. His other research includes a national epidemiological study of COPD (‘CanCOLD’ Canadian Cohort Obstructive Lung Disease).